I am really honoured to have been nominated for this award by the wonderful Katie over at Growing Up Katertot. Her blog is amazing covering everything parenting including heathy recipes, educational craft and some wonderful words of wisdom. Please hop over and have a look. Thank you Katie. 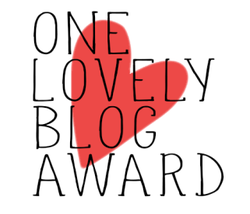 The one lovely blog award is passed from blogger to blogger to recognise all those lovely blogs out there. I am delighted to take part and to also pass on to other bloggers who I have connected with since starting this brilliant journey in March. 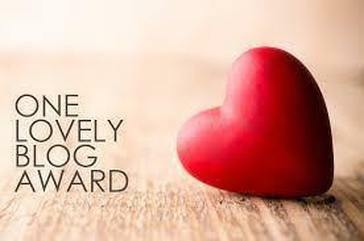 If you decide to accept please add the One Lovely Blog badge to your post and nominate around 15 other bloggers to receive the award. If you could also comment below and let me know when your post if live so that I can visit and comment back. Looking forward to finding out more about you all. Thank you so much for your kind words about my blog and for accepting the nomination! Thanks for the tag. I’m way behind schedule with post so i’ll try my best!